Tips on Choosing the Right Driving School or Driving Instructor for You! With more and more driving schools and instructors on the market it can be a difficult decision as to who to choose to learn to drive with. 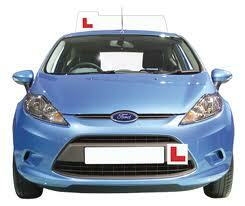 When looking for driving lessons it may be tempting to just look at prices and search for the cheapest deal. Maybe not always the right way to decide: the old saying of 'you get what you pay for' springs to mind. 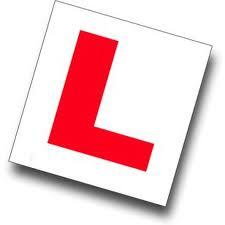 Is the driving instructor fully qualified or a trainee? How much experience has the driving instructor? What Grade has the DSA awarded the driving instructor? Does the driving instructor have any additional qualifications? There are currently around 43,100 fully qualified instructors in the UK. First thing to look for would be that your instructor is fully qualified and displays a green badge in the front windscreen. 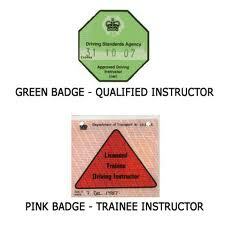 A trainee dispays a red triangle on a pink badge- if you choose a trainee ask the question are you getting the right training / instruction and should you receive a discount on your lesson fee? The DSA regularly checks and monitors all instructors to ensure they are teaching correctly and are providing the learner with value for money lessons - basically that the instructor is providing you with the right instruction and using the correct teaching techniques. Out of the 43,100 fully qualified instructors in the UK only 5% are the top Grade 6! Below Grade 4 is substandard and are re inspected following training and development. Normally speaking, as with most trades or skills, the more experience someone has generally results in more knowledge, a more efficient service and use of best practices and techniques. You can also determine whether an instructor is dedicated or serious about their job and service they provide if they have undertaken any additional training, development or qualifications to enhance their skills, such as Diploma in Driving Instruction, Diamond Advanced Driver (DIA) or Institute of Advanced (IAM), or even ROSPA qualifications. Hope you have found this information useful.